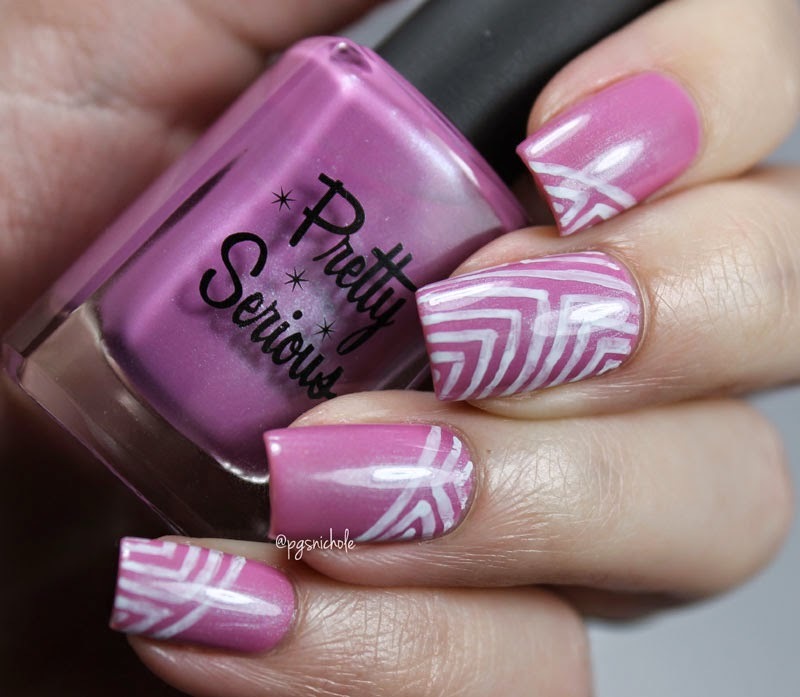 I do love a quickie manicure...especially when it involves nail art. I loved that CGA so much that I needed to extend it a bit. 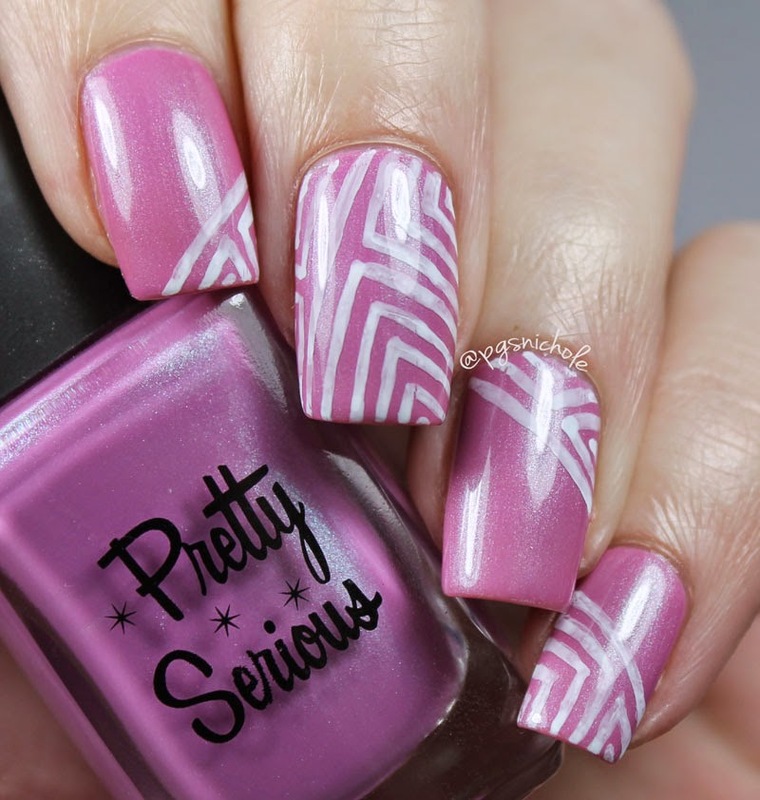 I tend to leave those Sally Hansen Nail art pens out for just this purpose! What do you think? Is it weird to you guys to see such a delicate color on me? My husband actually noticed this color and remarked on it, which I am still not sure is a good thing...but I love this color, and I think the lines are a great compliment. 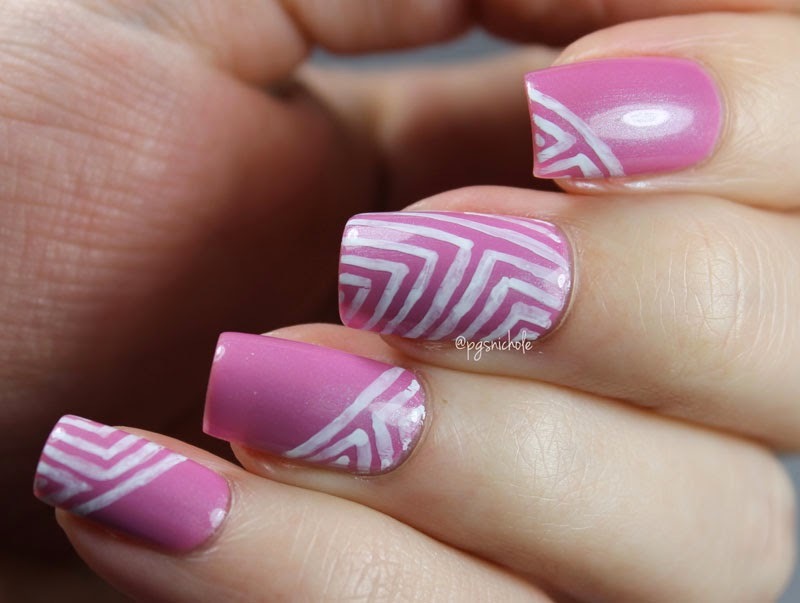 I wish I could do freehand stripes like this, mine never turn out as cool as yours! I wish I could stamp! It always looks so cool...and then I try and it looks like I have a tremor.